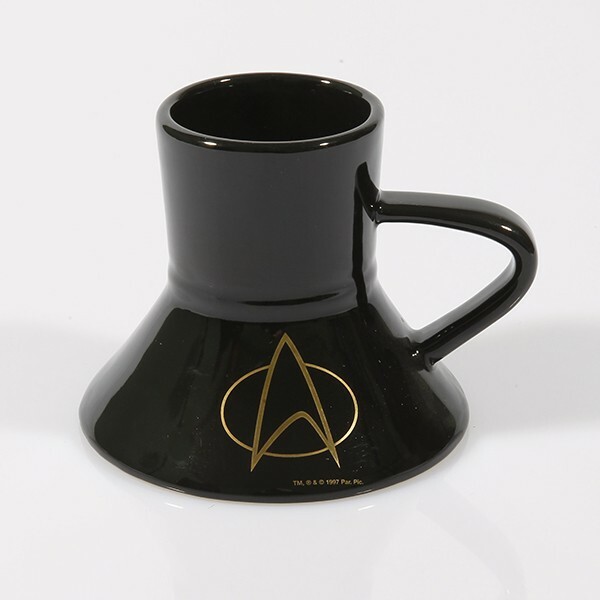 An end to coffee stains on the console, thanks to the exceptional design, the cup is stable, even at speeds of Warp 9.9. 24 kt real gold edition. 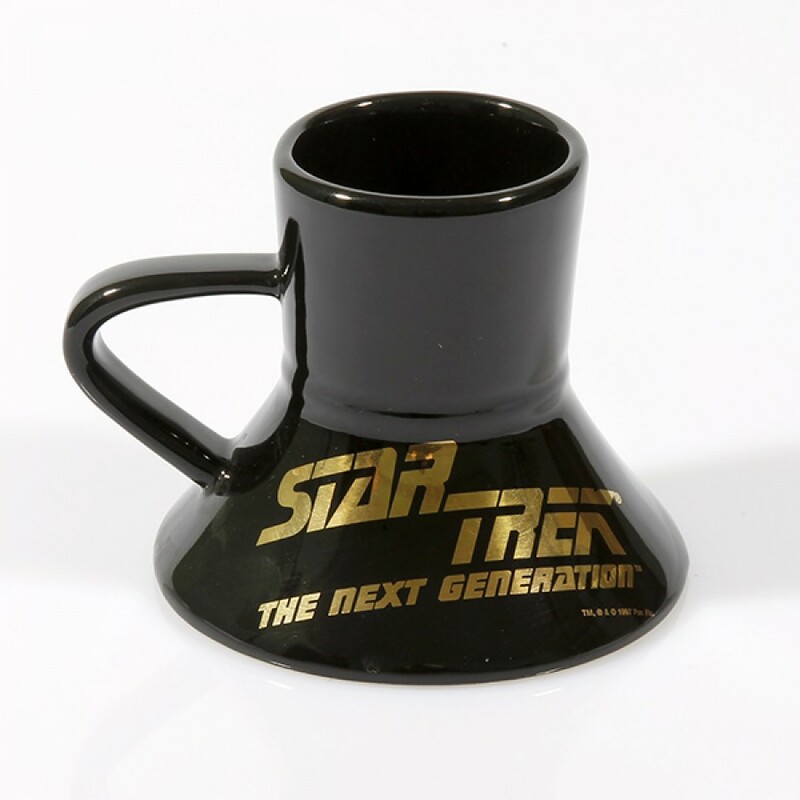 Rarity from the Filmwelt Center assortment from 1997, these cups have not been produced for 20 years. Cup is made especially by hand, so there are also irregularities in shape and glaze.